Excuse the takeover of Best Dressed posts this week, but with 2 awards shows, I really wanted to include my best dressed for both! 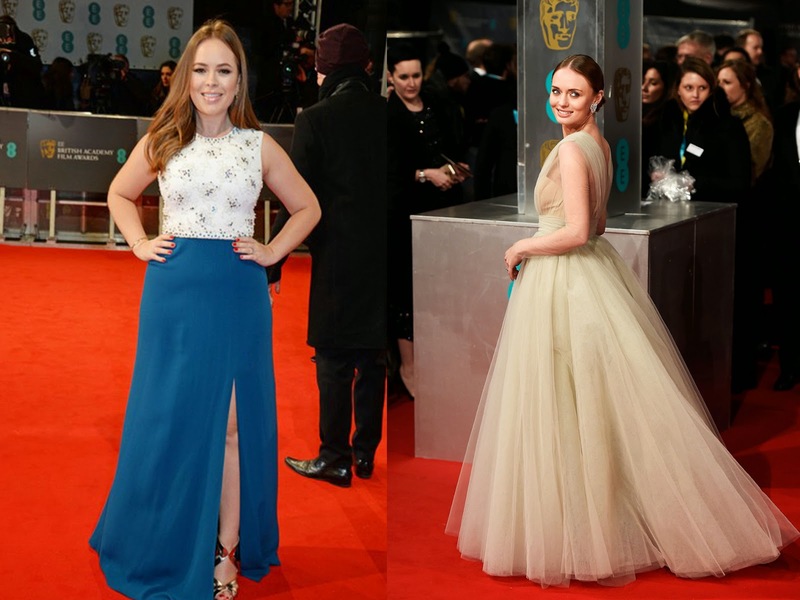 The BAFTAs took place on Sunday, and I managed to narrow it down to 6 best dressed. Firstly, my favourite vlogger of the moment: Tanya Burr. I think this is her third year of going to the BAFTAs and she looks amazing in this Jenny Packham dress, paired with Jimmy Choo heels. The embellishment looks gorgeous and the side split in the leg keeps the dress from looking too plain. Another of my favourites was Laura Haddock in Ashli Couture. This is such a gorgeous princess dress and the sleek updo looks absolutely perfect with it. Next was a total contrast to the Grammy's: white dresses! Laura Bailey looks so chic wearing Emilia Wickstead. Such a simple dress but the shape of it is gorgeous. Amy Adams also looked great in white, this time in custom made Lanvin. I love the chunky gold belt and the sleek straight hair with this look. Possibly a controversial pick, as I know this dress has been named a 'miss' by some editors, however I really like Felicity Jones' Dior dress. The colour looks really lovely and although I'm not too keen on the lines down the skirt, it does pull the look together. I love how her hair is done too as it really shows off the neckline of the dress. And finally, I really liked Alma Jodorowsky's look. Although I do feel it isn't quite glamorous enough for an awards show like the BAFTAs, I think this Stella McCartney dress looks lovely on her and she's kept it simple with matching black shoes and bag, with a pop of colour in the form of the red lips. Who were your BAFTAs best dressed? Let me know in the comments!